Metro Board Member Diane DuBois speaks at the event this morning. Photo by Luis Inzunza/Metro. The new bridge will replace the existing structure that was built in 1968 and at the end of its lifespan. 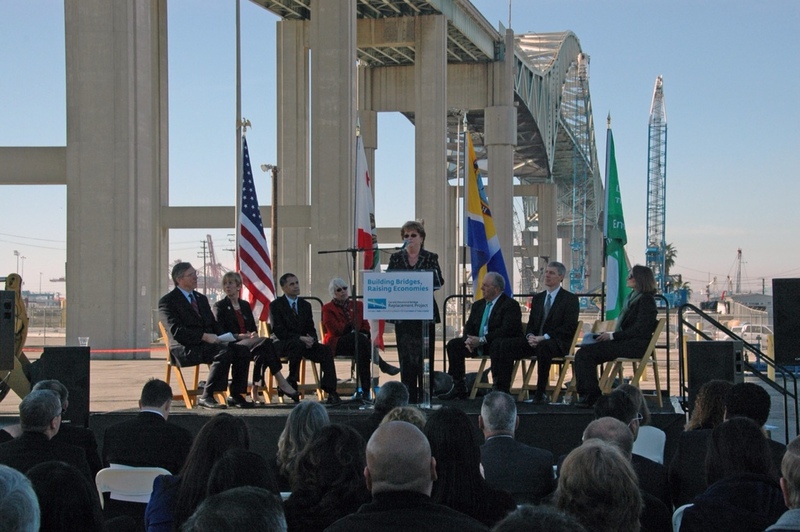 The new bridge will also sport a new design and will continue to be the big link between the 710 freeway and Terminal Island at the Port of Long Beach. Caltrans and the Port of Long Beach are leading the replacement effort along with funding help from Metro and the U.S. Department of Transportation. Both Metro CEO Art Leahy and Metro Board Member Diane DuBois spoke at the ceremony this morning. These numbers make me wonder whether Terminal Island needs *mass transit*. Cool to hear. Hadn’t seen anything on this project since 2011.